2017 is well under way now and if you are planning a solo city trip then read ahead as we have listed five of the best cities from around the world for solo travelers. We start off with one of the most popular cities in the world for solos, beautiful Barcelona! The Catalan capital needs no introduction but we are going to give it one anyway! Quite simply it is one of the most lively cities on the whole planet. It is probably the most vibrant city in Europe. It is very well set up for solos. There is a tonne of great accomodation to choose from, from hostels to budget hotels, all perfect for the solo traveler on a budget. Of course if money is no object then you will be really spoiled for choice. 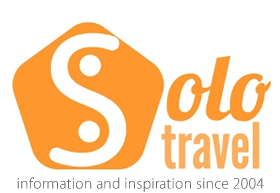 There are so many activities that means meeting other solos is easy as! You could maybe start your day with one of the many free walking tours in the city (remember to leave a tip as these guys probably lives off tips!). For the more adventurous you could take a segway tour and see the city on two wheels. Similarly renting a bike is very easy and Barcelona is very easy to navigate by bike. Barcelona is where the party never stops and there is so much going on a night that you’ll never be bored! In terms of costs, if you are coming from the USA you willl find Barcelona pretty cheap. As is the case with most European cities, you should have no reason not to feel safe in BCN but you should be aware that the Ramblas is pickpocket central, particularly at night. Try and find a friend to go out with if you plan on partying. San Jose is the capital city of Costa Rica and is an excellent place to start any trip to this exciting and small country in Central America. In terms of the city itself, there are many museums to visit as well as open air markets that sees to happen everyday! The food scene is excellent and Costa Rican food is some of the best in this region! There is a lot more to the food than rice and beans. SJ is also a very walkable city too with lots of history and Spanish arcitecture to check out. Compared to other Central American cities, SJ is much safer, but as ever on your own, you should take precautions and try and avoid walking around at night. Taxis are cheap and plentiful, so use them! Mexico City or DF as it is commonly known, tends to get a bit of a bad rap when people write about the city. For sure it has it’s fair share of issues, but really in a city of 22 million, what would you expect? 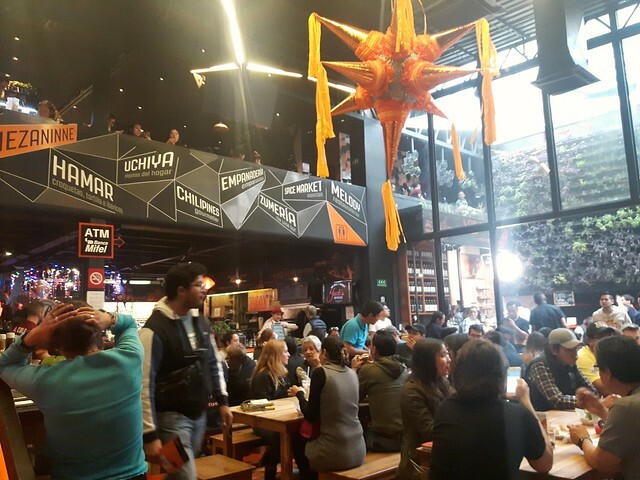 The good news is that the city is much safer than you might imagine, particularly around the better central neighbourhoods such as Roma, Condesa and the Zona Rose. The old town is also considered safer these days, and you’ll be blown away by the sheer numbers of police around, seemingly on every block! There are of course some world class museums, high class shopping and the best tacos in the world, of course! DF is much safter than it was but you are still advised to take taxis at night. Do no pick up cabs from the street, get your hotel to call you one. Uber is popular too in Mexico City. Wellington is the capital of New Zealand, but it’s main and largest city is Auckland, otherwise known as the city of sails. Situated in the north of the North Island, Auckland boasts a nice year round climate with the peak in the summer months of December thru March. It has the main international airport so you are bound to end up here, whether you like it or not! Auckland is a very international and cosmopolitan city with large popualtions from Pacific and Asian countries. This makes food a wonderful thing to sample in Auckland and it boasts soe of the World’s cheapest sushi! The city is very spread out but the downtown is walkable with many of the local sights close at hand. New Zealand on the whole is a very safe country for solo travelers, but that’s not to say you should let your guard down. We had to mention one of our favourite cities for solo travellers, wonderful HCMC! Saigon (as it is otherwise known) is the largest city in Vietnam, indeed it’s one of the largest in Southeast Asia, but the capital is Hanoi. HCMC is quite a contrast to it’s more serious rival up north! For a start the climate is much warmer, indeed this is also reflected in the cuisine too. Talking of the food, Vietnamese food is to die for and it’s so cheap. Street food tends to be very fresh and cooked in front of you and we’d recomend sampling it. Of course the city has had a turbulent recent past with the war with America. There are lots of interesting museums and tourist attractions around the war, and a trip out to the Chi Chi tunnels is a must. Vietnam has a very younf population and you really feel it has moved on from the war with America. Indeed many American tourists say that tey feel very welcomed in all of Vietnam, even in the north, where sentiment was much less during the troubled times. Vietnam on the whole is great for the solo traveler beause of the overwhelming friendless of the locals and the opportunities to meet up with other solo travellers. We have always felt very safe in Saigon. For one hing, there are always many people about, and crime is generally low due to the strict socialist government. The most dangerous thing is probably crossing the very busy streets, but honestly after a few days, you get use to it. Cross when the locals cross and keep them by your side.